I still believe that, but it occurred to me recently that there is a commonly-held belief that after the fall of France in 1940, Britain alone opposed Nazi Germany. This is a myth. I don’t know where the “Britain stood alone” idea came from, but it seems likely that it comes from Churchill’s famous “Their Finest Hour” speech. However, to his credit, Churchill recognised that there were countries other than Britain fighting Germany. He didn’t speak of Britain fighting alone, he spoke of “Britain and the British Empire”, and the “British Empire and its Commonwealth”. Even that wasn’t quite true, since countries such as Nepal and Oman, which were neither members of the Commonwealth nor parts of the Empire, had declared war against Germany in 1939. After France surrendered in 1940, Germany was still at war with Britain. They were also at war with Canada, Australia, New Zealand, South Africa, Bahrain, Nepal, Newfoundland, Oman, and Samoa. None of these countries were covered by the British declaration of war, but had made their own distinct declarations during the first weeks of the war. More countries, including India, were covered by the British declaration of war, since they were part of the British Empire. These countries made very real contributions to the war effort, even before the entry of other countries such as the USSR and USA. In December 1939, HMS Achilles, whose crew was roughly 60% New Zealanders, was engaged in the Battle of the River Plate, which led to the sinking of the German pocket battleship Graf Spee. New Zealand pilots fought in the Battle of Britain, and an army division served in North Africa. It’s notable that the only man to win the Victoria Cross and Bar during World War II was a New Zealander. The Royal Canadian Air Force made a major contribution to the Battle of Britain, and her navy fought in the Atlantic. Two Indian infantry divisions fought in North Africa. 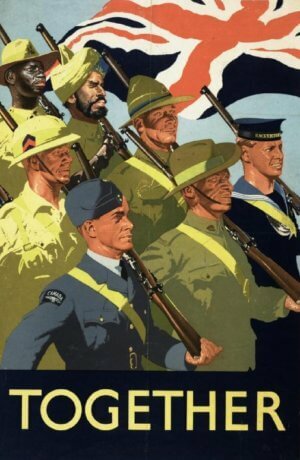 South Africa provided many pilots during the Battle of Britain, and South Africans fought in North Africa. When people say that “Britain stood alone” against Nazi Germany in 1940, they’re doing a great disservice to the countries, and the many thousands of men, that fought and died alongside the British. Their contribution and their sacrifice deserves to be remembered. 3,000 of the French troops evacuated from Dunkirk joined de Gaulle’s Free French army in Britain. 5,000 soldiers from the Republic of Ireland moved to Britain to join the war against Germany. They suffered years of persecution when they returned home. In July 1940, almost 4,000 Czech soldiers were formed into the 1st Czechoslovak Mixed Brigade Group and the 200th Czechoslovak Light AA Regiment. The RAF formed four squadrons from Czech personnel, the 310th, 311th, 312th, and 313th. 87 Czech pilots fought in the Battle of Britain, of whom eight died. 19,000 Poles were evacuated from France at Dunkirk, roughly a quarter of them aircrew. Poles made up about 5% of RAF pilots in the Battle of Britain, yet they accounted for 12% of victories. 303 Squadron, a Polish unit, was the top Hurricane-equipped unit in the battle, and had the highest kill-to-loss ratio, of 2.8:1. These men made a valuable contribution to the war effort, and they deserve to be remembered. 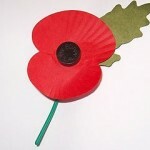 At 11:00, when I observe the two minute silence, I will remember them all. Will you?